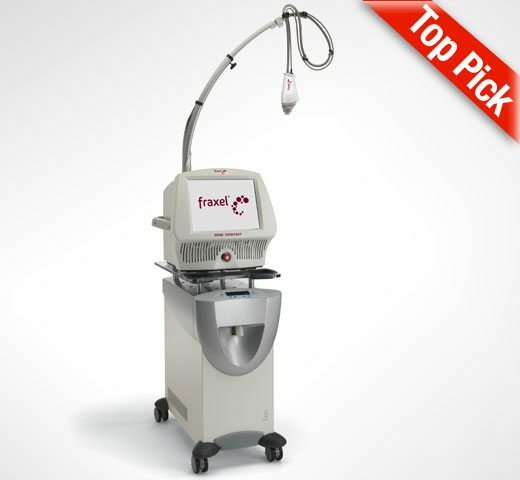 Fraxel DUAL is an FDA-approved dual wavelength thulium and erbium fiber laser that we use for treating brown spots, wrinkles, and/or scars of the face, neck, chest, arms and/or other areas of the body. The Fraxel device works by stimulating your body to remodel the skin and produce new collagen. It delivers fractional laser energy to the skin (meaning it treats only a fraction of the tissue at a time). Therefore, a series of treatments will likely be recommended to achieve best results. The number of treatments you’ll need depends on both the amount and type skin damage being addressed. Am I a good candidate for Fraxel DUAL? If you’re considering Fraxel laser treatment, a consultation appointment with one of our board-certified physicians is recommended. At your consultation, we’ll review the different treatment options that would help you with your skin concerns and help you choose what’s best for you. 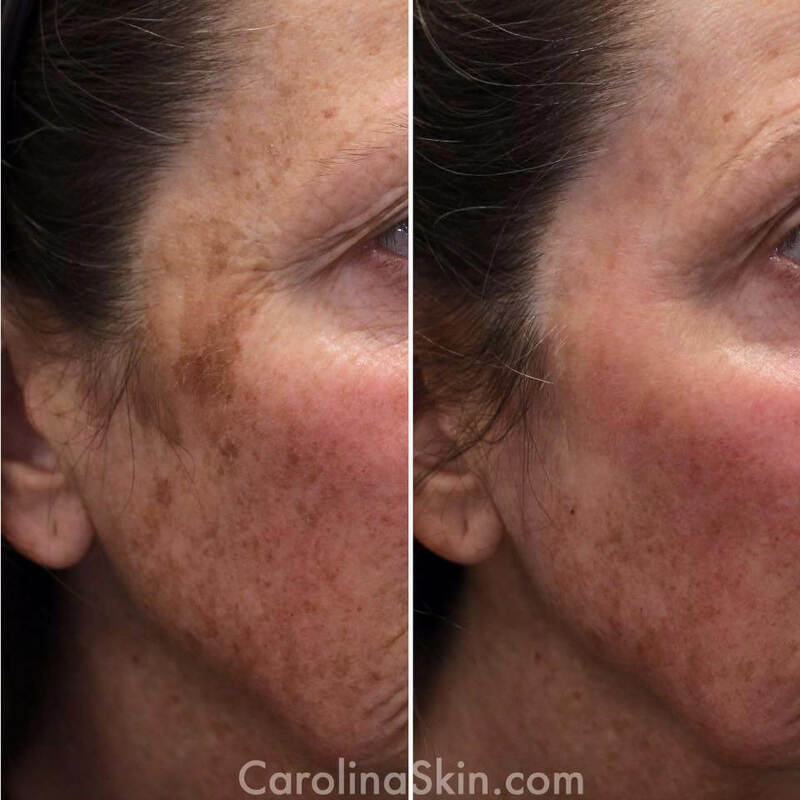 What is Fraxel treatment like? Before your treatment, we’ll review the procedure & take your “before” pictures. Next, we’ll apply topical numbing cream to your skin for 30 to 60 minutes to minimize any discomfort during the procedure. After numbing, we’ll cleanse your skin and begin the procedure. Depending on the size of the area to be treated, it should take about 15 to 20 minutes from start to finish (e.g.- treating arms takes longer than treating the face). Everyone’s pain tolerance is different, but most people experience very mild discomfort and/or a warming sensation. Treatments on the back, chest, arms & legs are usually more comfortable than the face. When the procedure is done, we’ll review aftercare instructions and discuss how you can maximize your results. What are the side effects of Fraxel? Any downtime? With Fraxel, the expected side effects are mild to moderate and you’ll have very little “social downtime”. Most people experience redness & swelling, along with some light peeling. However, swelling will typically dissipate within the first 24 to 48 hours after treatment while redness gradually decreases in the following days. (*the 1550 wavelength causes more swelling than the 1927 wavelength.) Later, you may notice that your skin is itchy or has a sandpaper-like texture. Do not try to scrub this away or pick at your skin, you’ll do more harm than good! This rough texture is a completely normal part of the healing process and usually won’t be noticeable to anyone else. Your skin may remain slightly pink for several weeks or months after treatment but will eventually fade away. When will I see results? How long do Fraxel results last? Most of the time, a series of between 3 to 6 sessions will be recommended. Some results are seen within 7 to 10 days, after the skin has recovered from the procedure. Your results will continue to improve throughout the course of your treatment plan. The benefits of this procedure are long-lasting but not permanent; simply because in the years following treatment, your skin will continue to age. Your skin will continue as it always has, accumulating sun damage and losing collagen & elasticity. This process can be slowed down with regular use of sunscreen and/or other topical skin care products such as tretinoin (Retin-A).